Learn from an international team or renowned horticultural experts led by John Mason, Fellow Institute of Horticulture (UK), Fellow Australian Institute of Horticulture, Fellow Parks and Leisure Australia. John is also a former nurseryman, parks director, and is one of the most prolific gardening authors from Australia -many of his books being used by other schools and universities to teach horticulture across Australia and beyond. A unique opportunity to connect and learn from our international faculty that includes Rosemary Davies (formerly Garden Advisory Service, and Age Garden Writer, Melbourne), Maggi Brown (former Education officer for Garden Organic, UK), Gavin Cole (former Operations Manager for the Chelsea Gardener, London), and Dr Lyn Morgan (renowned Hydroponic expert from New Zealand); and a host of other equally qualified professionals. Making a choice on which roses to grow where can be a challenge. There are many varieties to choose from; all having different, styles, colours and growth habits. Begin by considering the style of rose that would best suit your situation. Styles of roses include bush roses, climbers, ramblers, miniatures, standards and weeping roses. 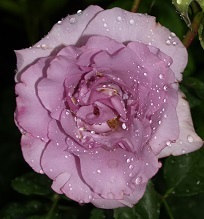 Hybrid Tea roses are the most widely grown group of roses. Flower stems are long and the blooms are usually on single stems or with several side buds. The flowers are very shapely, of medium sized or larger with many petals forming a central cone. They flower from late spring to autumn and make excellent cut flowers. Floribunda roses are said to be more colourful then hybrid teas. Their flowering is more profuse and they tolerate wet weather better, and are unrivalled for providing a colourful bedding display. The floribunda bears its flowers in clusters or trusses and several blooms open at one time in each cluster. It can be grown as a bush or as a standard rose and flower continuously from late spring to late autumn. These are a relatively new group of roses that can be used in cottage gardens as potted plants or as a rose garden edge. They are compact low growing and grow to a height of no more than about 50cm. They differ from miniatures, as the foliage and flowers are larger. Some patio roses that may suit the home gardener are 'Cosette', 'Poker Chip', 'Frilly Dilly', 'Marlene', and 'Pinkie'. Old time rose greats still readily find a place in today’s garden. One of the most popular is the yellow banksia rose. It is a rose that can ramble over a trellis or an unsightly object, and you can be assured that it will flower profusely. For the white garden enthusiast a white form of this rose is available. Other popular old roses are 'Felicitite et Perpetue', 'Fortunes Yellow', Devoniensis', 'Gloire de Dijon' and the moss, cabbage and China roses. The Cabbage roses were developed in the 16th century and the beauty of this type of rose was often captured by artists. The cabbage rose has open growth with large and small thorns, the leaves are large and rounded, the flowers are as the name suggests globular or cabbage like in a range of pinks and whites. Examples are Rosa bullata, Rosa centifolia and La Noblesse. The Moss roses are offspring of Rosa centifolia and have moss like sticky hairs over the buds and stems. Examples of moss roses are 'Henri Martin' and 'Chapeau de Napoleon'. China roses were the start of the development of modern day roses, as these roses were perpetual flowering and were bright and showy. Through breeding with the old roses the Bourbons rose and hybrid Perpetuals became available which gave gardens brightly coloured roses of yellows, oranges, flame apricot and cream. 'La France' is said to be the first hybrid tea rose. Becoming an "expert" with any type of plant will always be a big advantage for anyone who works in horticulture. Give your career or business a boost and learn more about roses and rose growing.